Location. 20° 57.596′ N, 89° 37.649′ W. Marker is in Mérida, Yucatán, in Municipality of Mérida. Marker is on Calle 64 just north of Calle 64A, on the left when traveling north. Touch for map. Marker is in this post office area: Mérida, Yucatán 97000, Mexico. Touch for directions. Other nearby markers. At least 8 other markers are within walking distance of this marker. 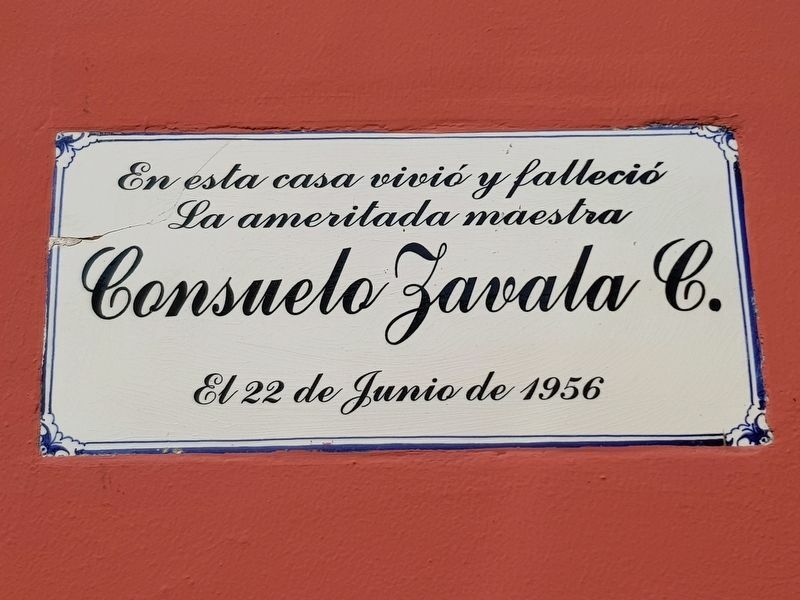 Calle 64 (within shouting distance of this marker); General Manuel Cepeda Peraza (within shouting distance of this marker); The House of the Headless Friar (about 90 meters away, measured in a direct line); The Harem (about 120 meters away); The San Juan Arch (approx. 0.3 kilometers away); Colegio Montejo Annex (approx. 0.3 kilometers away); Benito Juárez (approx. 0.3 kilometers away); Temple of St. John the Baptist (approx. 0.4 kilometers away). Touch for a list and map of all markers in Mérida. More. Search the internet for Consuelo Zavala C.. Credits. This page was last revised on March 19, 2019. This page originally submitted on March 19, 2019, by J. Makali Bruton of Querétaro, Mexico. This page has been viewed 78 times since then. 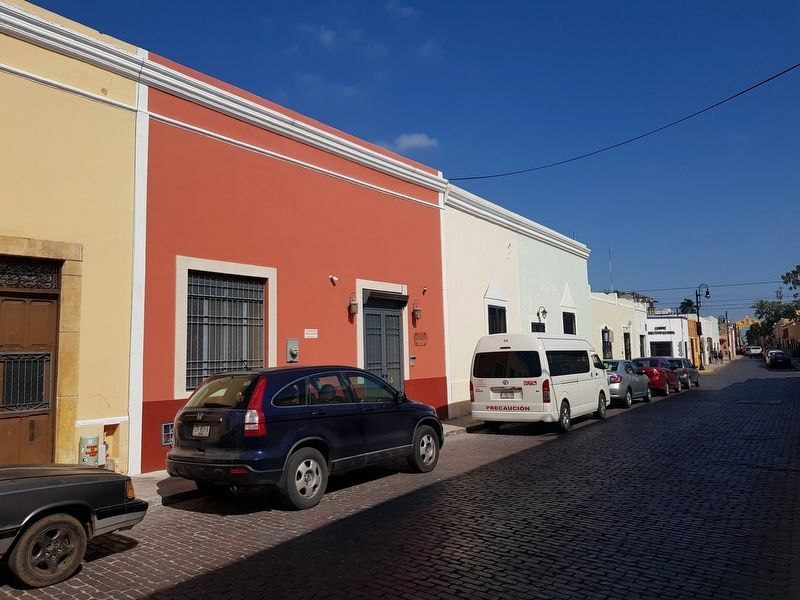 Photos: 1, 2. submitted on March 19, 2019, by J. Makali Bruton of Querétaro, Mexico.